Intel has planned to be out from one major OpenStack collaboration with Rackspace although both the companies and the OpenStack Foundation insist everything to be fine. Intel Abandons OpenStack Innovation Center Project which was assigned to a structure with at least 2000 nodes, had to facilitate the use of OpenStack software at major IT companies. Before the Easter Intel has turned off the money to the OpenStack Innovation Center (OSIC), which is a 2,000 node facility ran with Rackspace to develop and improve OpenStack for large business. The center was set up by Intel and Rackspace only two years back, funding was supposed to run up to 2018. That is possibly the end of the OSIC. The shutdown evoked fears that Intel has cutting all ties with the OpenStack movement, which would deal a hammer blow to the open-source cloud platform. It was Fortune website who anticipated ecreed the end of OSIC money theoretically planned until 2018 and published the fact on Friday April 14th, The decision to unplug the plug always referred to an anonymous source, would be taken last Thursday during an internal meeting between the two companies; 30 people (or 45?) involved in the project are likely to be left out of work if they fail to find a new place in Rackspace within a few. The rumors then turned out to be accurate, apart from the number of at-risk employees) and were confirmed by the OpenStack Foundation, bringing little agitation to the community. According to some; Intel, the foremost financial supporters of the Foundation, would be thinking of moving away from OpenStack. To support this hypothesis indirectly, it would be the deletion of the Intel Developer Forum, a historic event dedicated to system programmers/applet engineers/programmers scheduled for August 2017, and will shut down after twenty years of service. The OpenStack Innovation Center case, as mentioned, has created apprehension in the community and the press offices of the two concerned directors have swiftly activated to disarm the alarms. Intel spokesman said that Intel and Rackspace are very proud of the achievements and the contribution [offered] to the OpenStack community. Both companies has trust in the future of OpenStack and will continue to collaborate/offer their contribution to the community. 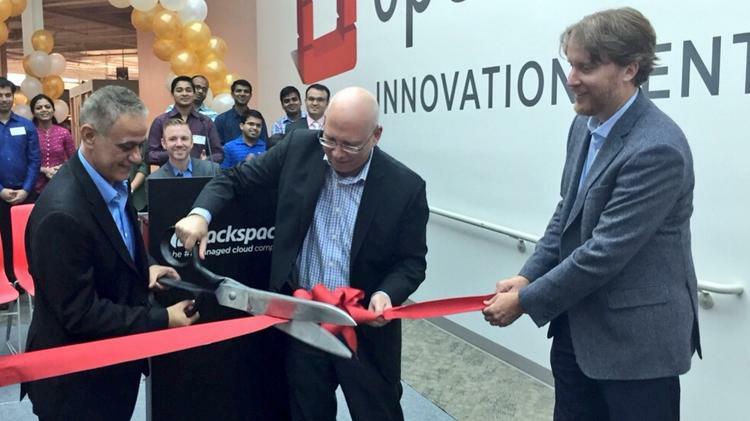 Rackspace, attracted the attention of journalists and users to a post published in April by Scott Crenshaw where which he said about that the Golden Momentum of OpenStack. Others observed critically OSIC repositories are not updated for months now, as well as OSIC related news pages is nor updated. The chances that Intel and Rackspace decide to abandon the Foundation are very low, but it is a sign of a diversification of interest. This Article Has Been Shared 4593 Times! Google Discontinues PageSpeed Service Promoting EdgeCast. Google, Widely Known For Mass Surveillance Tools Will Discontinue it From 3rd August. Cite this article as: Abhishek Ghosh, "Intel Abandons OpenStack Innovation Center Project," in The Customize Windows, April 20, 2017, April 21, 2019, https://thecustomizewindows.com/2017/04/intel-abandons-openstack-innovation-center-project/.